“We will be playing, laughing, and crying together.” – Mike Shinoda. While some fans are still mourning the shocking death of Linkin Park frontman Chester Bennington, who committed suicide in July, the band has announced some good news that’ll perhaps lessen the burden and pain. The tribute show will take place at Hollywood Bowl, Los Angeles on 27 October 2017, Friday. Band member Mike Shinoda also tweeted details of the concert in a heartfelt tweet. We will be playing, laughing, and crying together at the Hollywood Bowl in Los Angeles on October 27th, in honor of Chester. Love you guys. The one-night-only concert will also feature other artists as well. However, no details yet on who exactly will be performing alongside the band, but we’re guessing it must be those whom they’ve previously worked with or are close to. Tickets will go on sale this Friday, 22 September, 12pm, Los Angeles time. You can purchase them here. 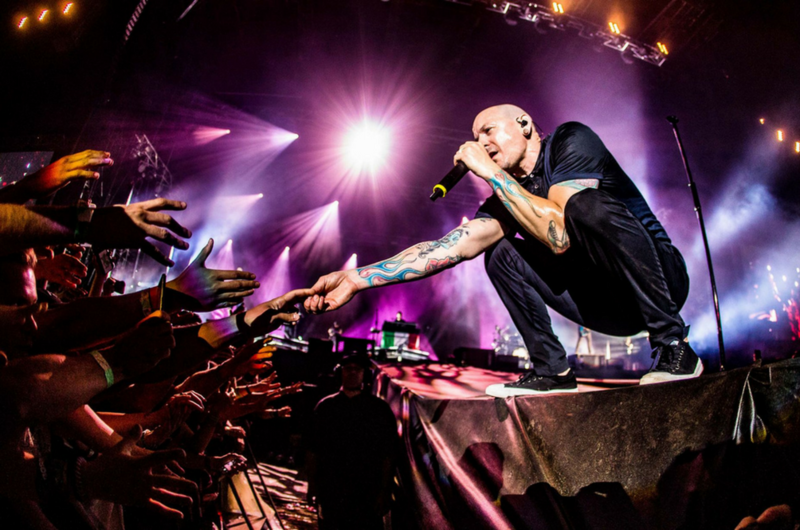 The band also took the opportunity to launch their latest music video, One More Light, which shows several clips of Chester and the band performing from way back then. The way we see it, it’s like a throwback reel of Chester’s career with the band. So guys, if you are a true blue fan of the band, you can start planning your trip to LA for a once in a lifetime experience. And don't forget to be on standby mode once the tickets go on sale. You definitely do not want to miss out on this official tribute concert. [CONTEST] Are You Ready To Party And Sing Along With Fifth Harmony Live In Malaysia?